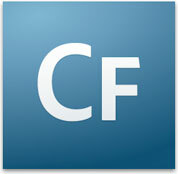 Ability to code User Defined Functions (UDFs) and ColdFusion Components (CFC’s) entirely in CFScript. An explicit “local” scope that does not require local variables to be declared at the top of the function. Implicit constructors via method called “init” or method with same name as CFC. Tighter integration with Adobe AIR. Are you ready to move on to the next level of web design and user interaction? The greatest benefit of our experience with Flex is that we can create Rich Internet Applications (RIA) that deploy consistently on all major browsers, and Operating Systems, consequently providing a richer experience for your audience. Flex brings real-time interactivity in your existing Applications, and Ecom Solutions can develop and install completely new Flex Applications in a timely fashion!